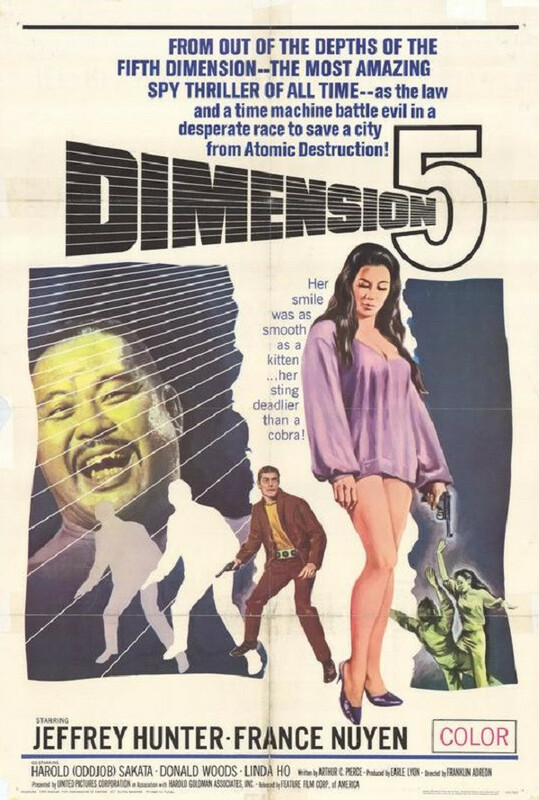 An American intelligence agent, aided by a Chinese-American female agent, uses a time-travel belt to thwart Chinese operatives who are attempting to import to Los Angeles the materials to make an atomic bomb. The unofficial agency of the American government Espionage Corporation is assigned to investigate the Chinese organization The Dragons when the government is advised to remove the American troops from Asia, otherwise The Dragons would destroy Los Angeles with a Hydrogen Bomb. The chief Mr. Kane asks his best agent Justin Power, who is testing a time converter belt, to be in charge of the mission with the Chinese agent Ki Ti Tso, aka Kitty. The intelligence agency unravels that parts of the bomb has been imported by the smuggler Big Buddha and Power and Kitty seek the hidden place in USA. Regions are unavailable for this movie. 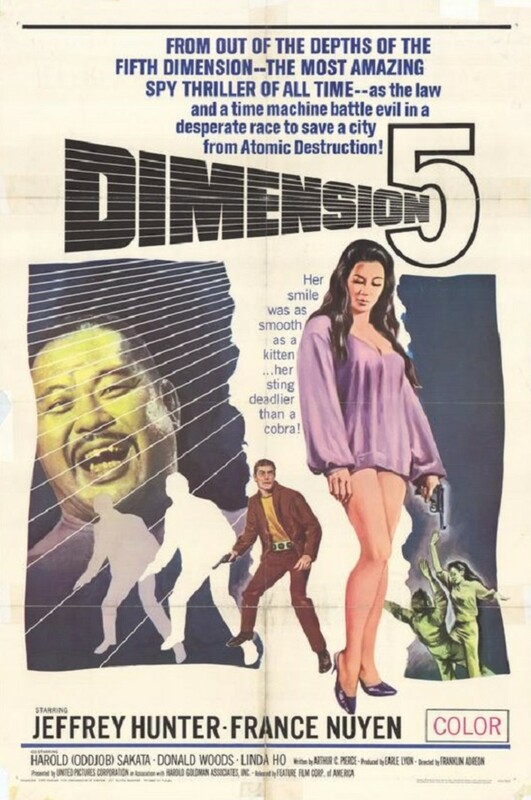 Click the "Watch on Netflix" button to find out if Dimension 5 is playing in your country.